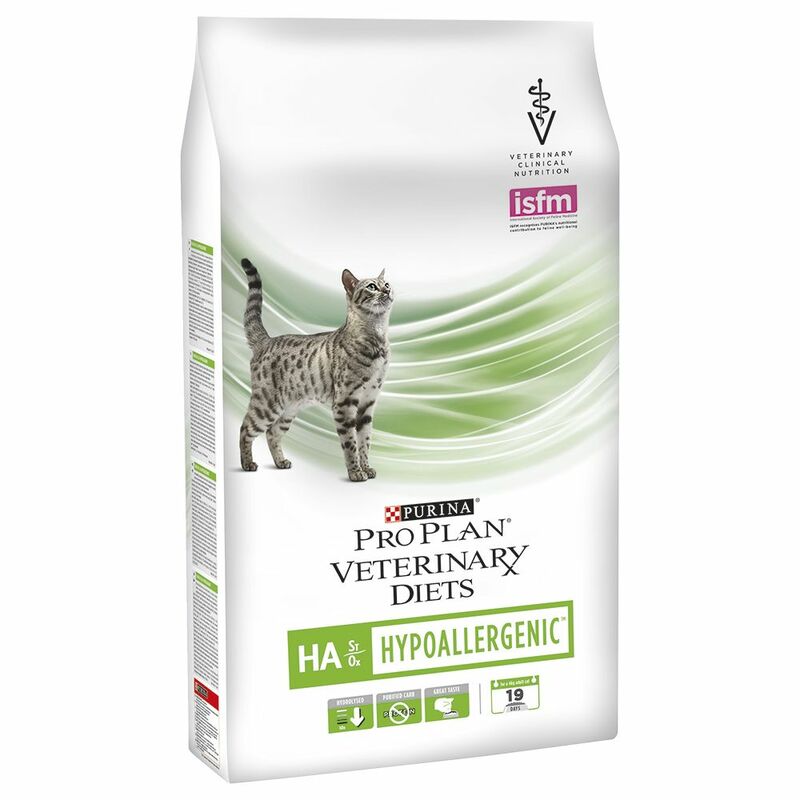 Information about Purina Veterinary Diets Feline HA - Hypoallergenic - 3.5kg: Cats often suffer from food intolerances or allergies as their digestive tract is one of their most sensitive organs. Purina Veterinary Diets Feline HA - Hypoallergenic is designed to help to alleviate the symptoms of allergies, such as itching, skin inflammation, hair loss or digestive problems. Allergies can be present from birth or they can develop over time, and sometimes it only takes a tiny amount of an allergen in your cat’s diet for the allergic reaction to occur. The recipe of Purina Veterinary Diets Feline HA – Hypoallergenic has been formulated with ingredients that contain a low allergic potential, including hydrolysed proteins, which makes the food very well tolerated. Rice is used in the recipe as it is easy to digest and also well tolerated, so your cat absorbs as many nutrients as possible. The kibble is also high in omega-3 fatty acids, which can help to reduce inflammation. Purina Veterinary Diets Feline HA – Hypoallergenic can also be fed to cats with chronic inflammatory bowel disease. Indications: Food allergies Food intolerances Chronic inflammatory bowel disease Specific product benefits: Hydrolysed proteins: proteins with an extremely low allergenic potential, easy to digest and well tolerated Specially cleaned carbohydrates: well tolerated rice for minimal risk of allergic reaction Rich in Omega-3 reduces inflammation Healthy urinary tract: helps to inhibit the formation of struvite and oxalate stones.